NEW YORK (Reuters) - Oil prices were mixed on Monday, as concerns about a slowdown in global economic growth lingered, offset by the prospect of tighter U.S. crude supply. Brent crude oil futures settled at $67.21 a barrel, up 18 cents, while U.S. crude fell to $58.82 a barrel, down 22 cents. "Some of the weakness we saw earlier was related to the reawakening of concerns surrounding demand growth," said Gene McGillian, vice president of market research at Tradition Energy in Stamford, Connecticut. "If we see another week of inventory numbers like we saw last week that could restart the rally," he said. "We expect U.S. crude balances to see some additional tightening as crude exports remain sharply elevated and imports are likely downsized," Jim Ritterbusch, president of Ritterbusch and Associates, said in a note. "(But) we see a reduction in the rate of global oil demand growth as becoming a larger price influencer during the next few weeks," Ritterbusch said. 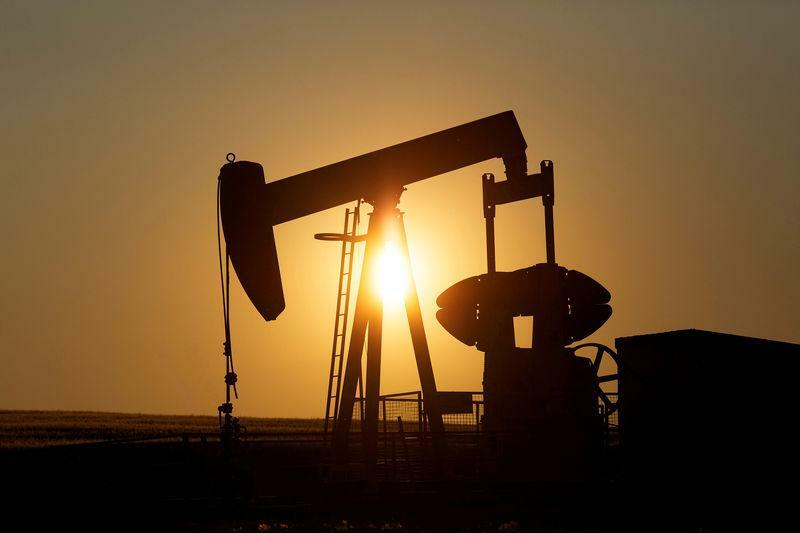 Oil prices took a hit last week after cautious remarks by the U.S. Federal Reserve and weak factory data from the United States, Europe and Asia led to the inversion of the U.S. Treasury yield curve for the first time since 2007. Three-month Treasury bills currently yield more than 10-year notes. An inverted yield curve, where long-term rates fall below short-term ones, has historically pointed to a looming recession, as it reflects investor belief in greater short-term risk. Chicago Federal Reserve Bank President Charles Evans on Monday said it was understandable for markets to be nervous when the yield curve flattens, but he was still confident about the U.S. economic growth outlook. An improved index on Germany's business climate dispelled some recession concerns that flared after manufacturing output from Europe's biggest economy shrank for the third straight month. Supply cuts by the Organization of the Petroleum Exporting Countries and allies such as Russia also supported prices. OPEC's de-facto leader Saudi Arabia is pushing for Brent crude prices to surpass $70 per barrel.